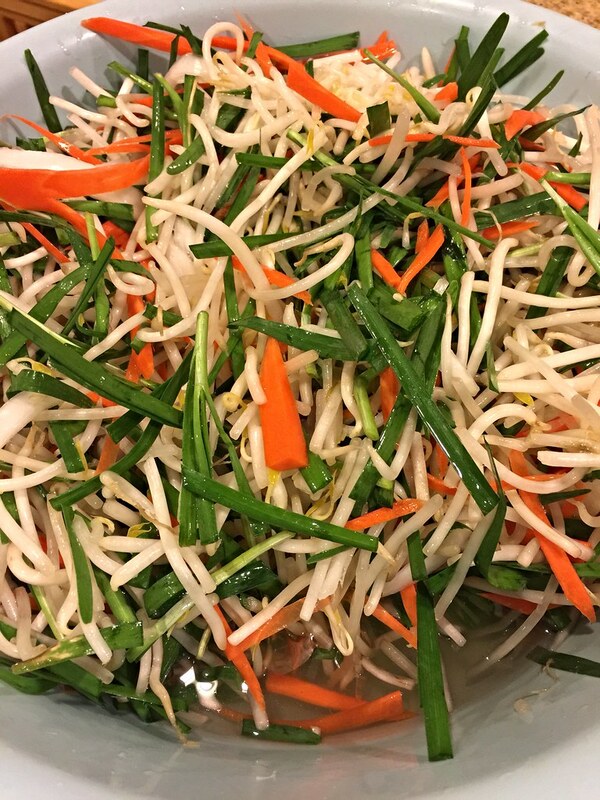 Every Tet, or Lunar New Year, I make a big container of Pickled Bean Sprouts to enjoy with all the Tet food specialties that are available during Tet. It is the perfect accompaniment for all the braised and savory dishes, like Thit Kho Trung, Banh Chung, and Banh Tet eaten during Tet. You can also eat it like a salad for a healthier alternative. 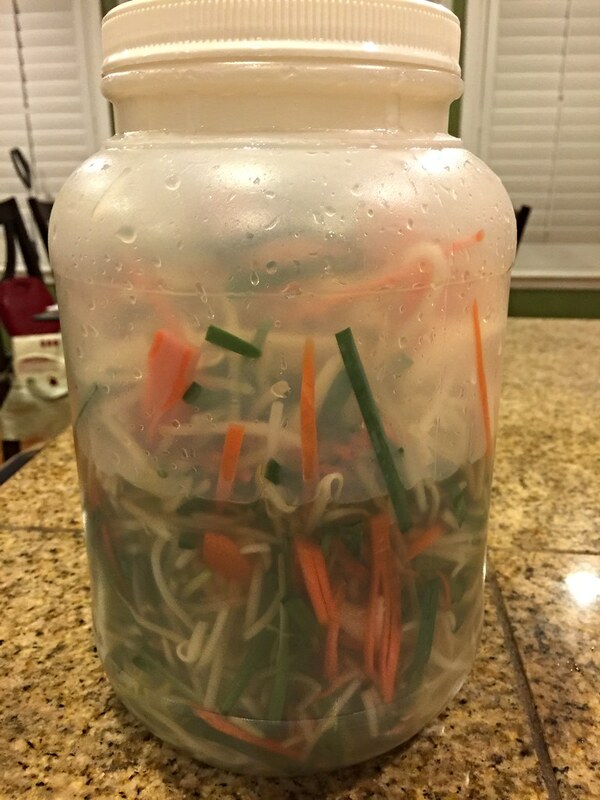 Pickled bean sprouts are super colorful, crisp, tart, and super refreshing. It’s such a flexible recipe and you can substitute in different veggies and chiles if you prefer. Whisk vinegar, water, sugar, and salt together until dissolved. 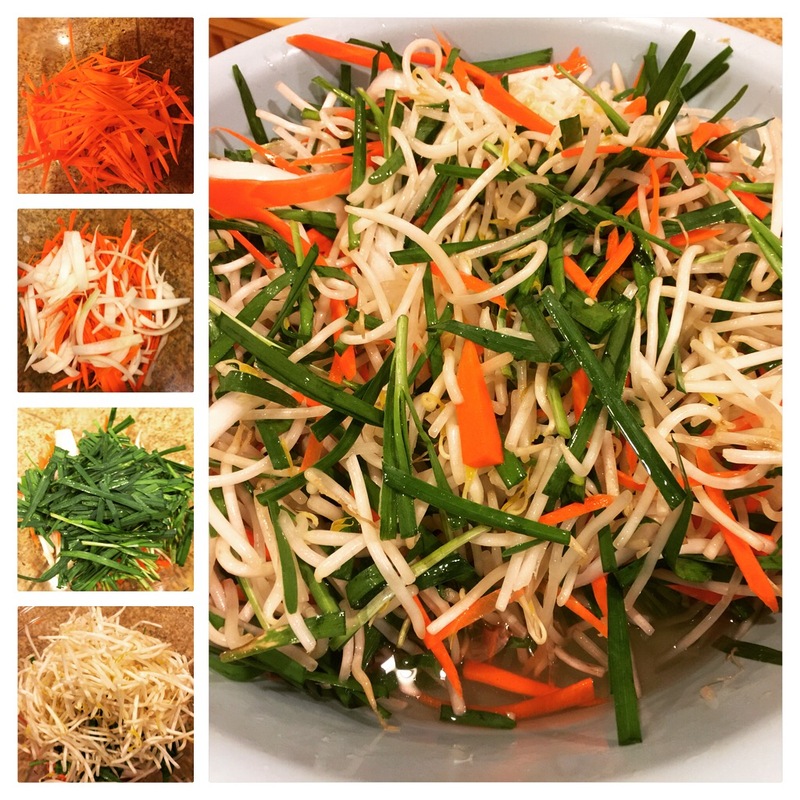 Mix bean sprouts, julienned carrots, sliced onions, and garlic chives in a large bowl. Pour liquid into bean sprout mixture and combine. Place in large container and refrigerate for at least 6 hours.